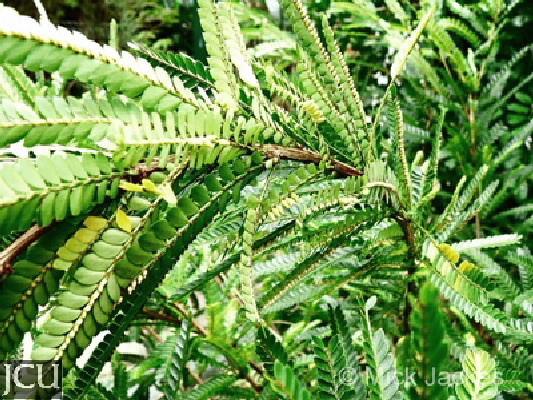 A spreading shrub native to North Queensland, the leaves are small to 1 cm long and 4 mm wide, arranged in two overlapping rows in the one plane on short lateral shoots, such that they resemble compound leaves. Separate male and female flowers, pendulous below the branches, shortly pedicellate or sessile, greenish. There are some plants growing along the western wall of the Crowther Theatres.